Narendra Modi is putting money where his mouth is on corruption. India’s prime minister on Tuesday cancelled 86 percent of the country’s bank notes by value. The bold demonetisation move underscores Modi’s determination to clean up illicit money flows and could leave a positive mark on the world’s fastest growing large economy. The total stock of the now-illegal 500 rupee and 1,000 rupee notes in circulation amounts to a whopping $246 billion at current exchange rates. Holders have until the end of the year to tender currency and they will get back up to $60 per person in cash. Anything above that will be credited to bank accounts. The move will help address India’s cash addiction. The Reserve Bank of India notes that the economy grew by 30 percent between 2011 and 2016 but currency notes in circulation rose by 40 percent. Honest people with stashes of notes will now be forced to open bank accounts and that should help boost transparency and government revenue in a country where just 1 percent of the population pays tax. The move, combined with an explosion in smartphone usage and a new state-backed instant online payments system tied to biometric data, could accelerate the move to a cashless society. That is good in the long run, though Credit Suisse warns cancelling bank notes could cause parts of the economy to freeze temporarily. The more immediate point is that corrupt individuals and terrorists are unlikely to convert much of their cash for fear of drawing scrutiny. That will lead to a one-time destruction of wealth that would otherwise end up in things like real estate and expensive jewelry. Credit Suisse suggests that banks lending to these sectors might see a rise in non-performing loans. Overall, Modi’s demonetisation may be more effective than past attempts because it’s only one of several initiatives underway to tackle corrupt uses of money. India is already mulling a ban on large cash transactions. Modi has also launched various tax amnesties and passed laws that slap Indians with a 10-year jail term for stashing undisclosed money overseas. It’s still a gamble, not least politically because candidates across India still rely on handing out cash to win elections. Implementation won’t be easy, and replacement notes will allow some underhand activity to continue. But the message is loud and clear – India’s anti-corruption crackdown is real. 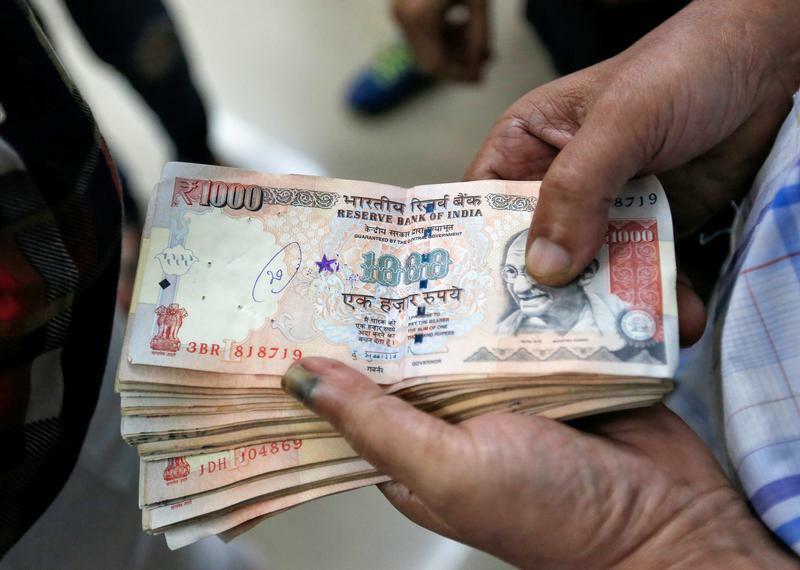 Reuters: India abolishes larger banknotes in fight against graft, "black money"
Indian Prime Minister Narendra Modi on Nov. 8 announced that 500 rupee and 1,000 rupee banknotes would be withdrawn from circulation at midnight. The notes are equivalent to $7.50 and $15 respectively, at current exchange rates, and accounted for 86 percent of the total value of notes in circulation at the end of March. "Black money and corruption are the biggest obstacles in eradicating poverty," Modi said in a hastily convened address to the nation after a cabinet meeting. Individuals have until Dec. 30 to tender notes at bank branches. They will get up to 4,000 rupees per person in cash, and anything above that can be credited to bank accounts. The Reserve Bank of India said it would introduce new 500 rupee and 2,000 rupee notes from Nov. 10. All cash machines in the country will close on Nov. 9 and Nov. 10. The RBI also announced a temporary overall limit of 20,000 rupees per week on cash withdrawals from banks, including cash machines, up to Nov. 24.